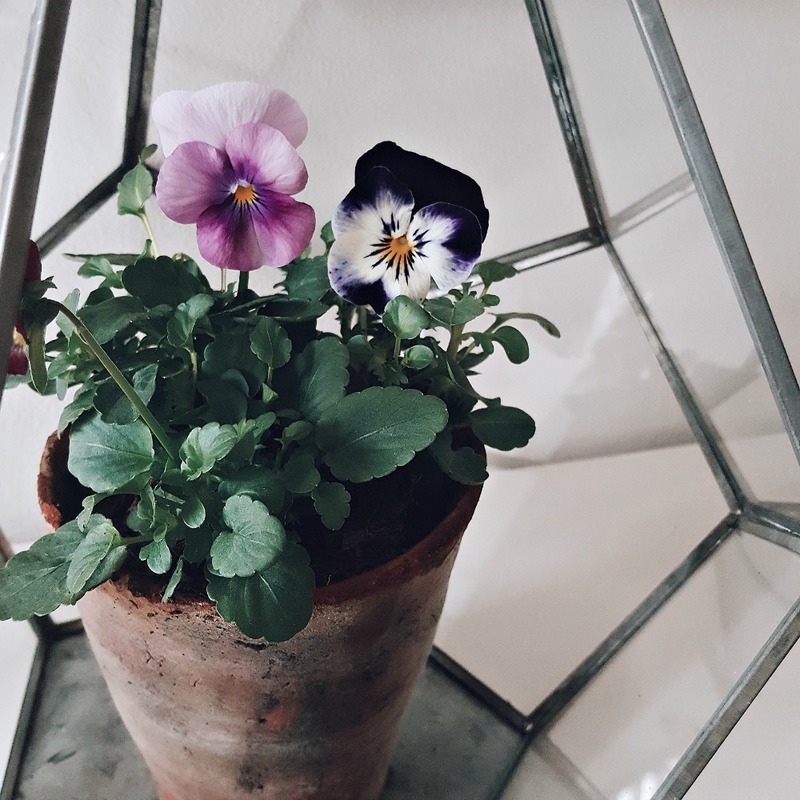 Pretty Violas in a terracotta pot, in a terrarium? Yes stranger things have happened! ;) Prettiness all round. 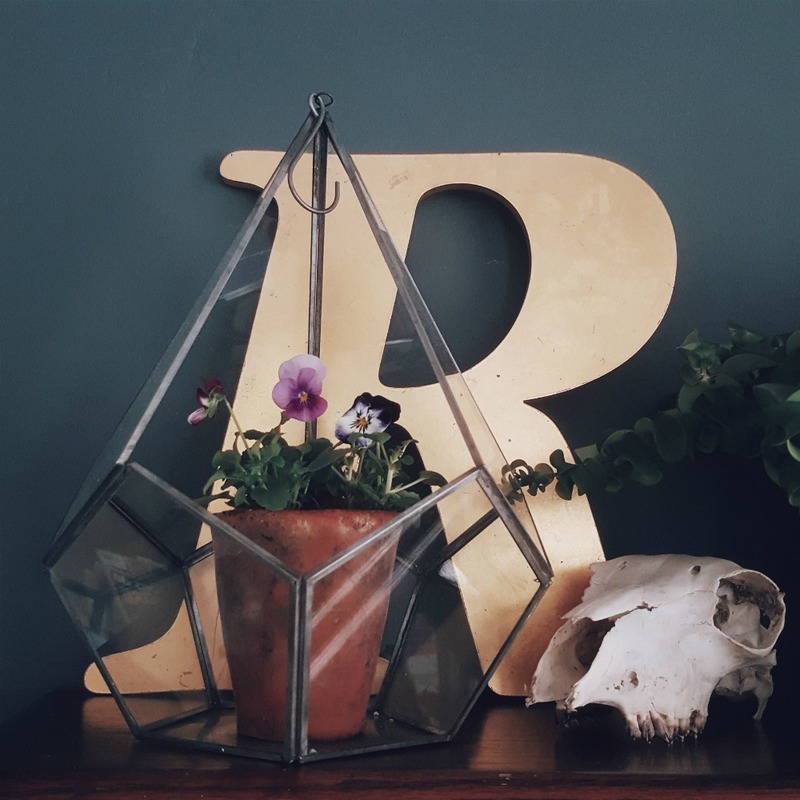 This month I am delighted to team up with the brilliant Rose & Grey once again, who will be giving away not one but three prizes to three deserved winners of the #natureinthehome link up. Glass & Zinc terrarium – The Glass & Zinc Terrariums make beautiful display features. 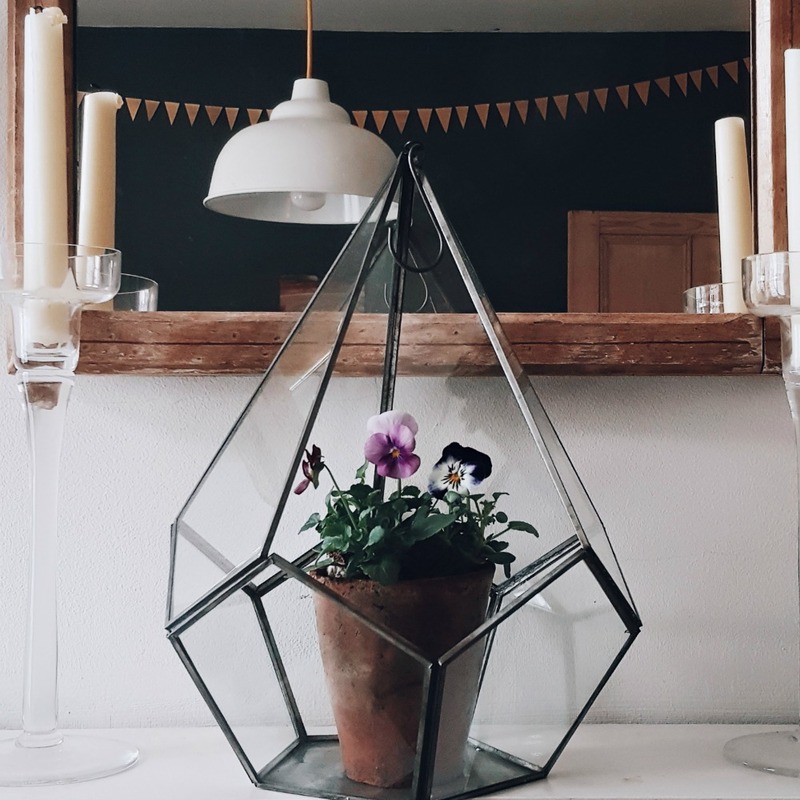 Create your own terrarium inside the glass planter, or simply place your favourite potted plant or a candle inside. Wire locker room shelf – Introduce an industrial elements into your home with our stylish Wire Locker Room Shelf. This versatile shelf can be used anywhere around the home, such as in the bathroom, home office or kitchen. Each shelf is handmade from interwoven wire and comes with screws to fix to the wall. Deep porcelain planter / bowl – The white porcelain bowl can also be used as a planter, making it a stylish and versatile piece for your home. Which item would you choose? To enter, as usual, this is an Instagram styling challenge. Please style your items from nature, this can be spring blooms, found treasures like feathers, shells, driftwood, pebbles etc. Three winners will be announced at the end of April. Good luck! 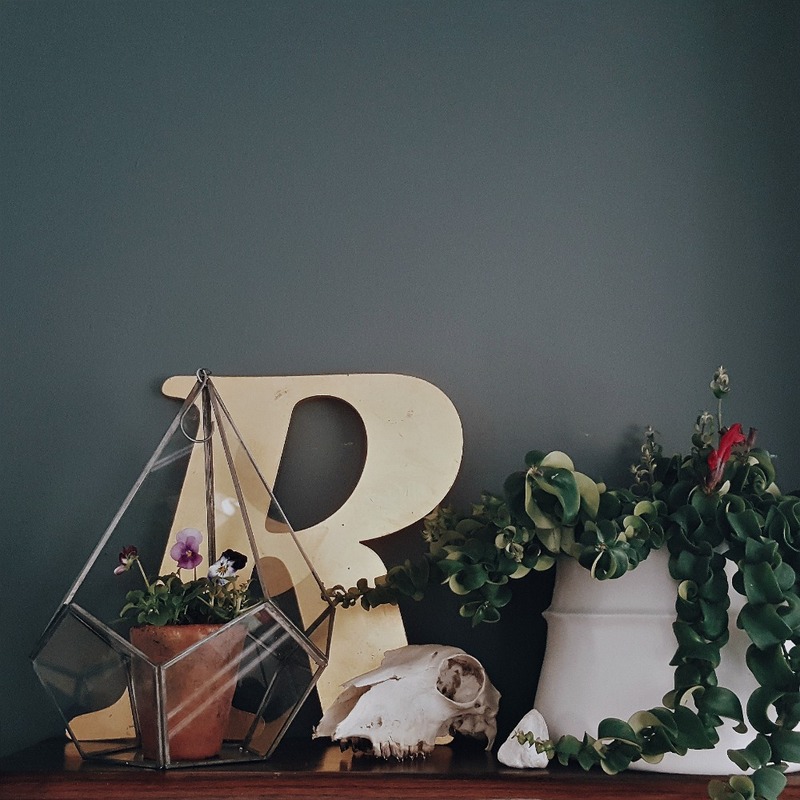 Thank you to Rose & Grey for sponsoring #natureinthehome for April. If you wish to be involved in sponsoring #natureinthehome then please do email me on: Loulittlegreenshed@gmail.com.